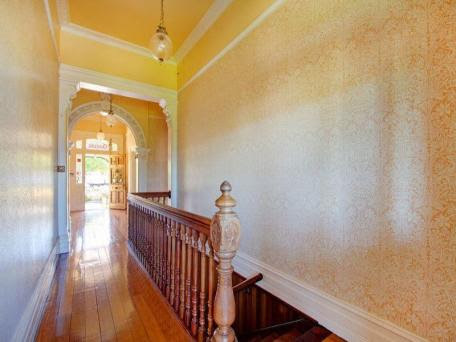 Why the messy Heritage Listings Here? Warning! 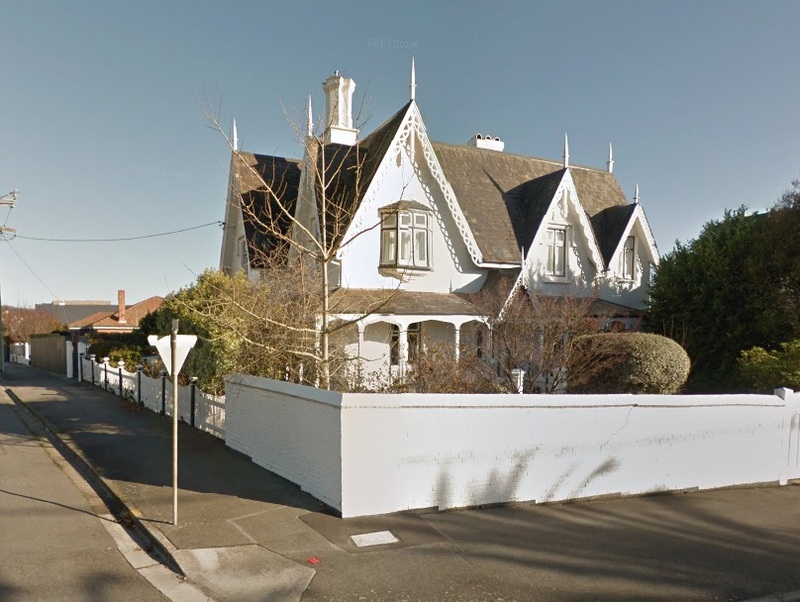 Are any of these houses to be struck from the Heritage lists? 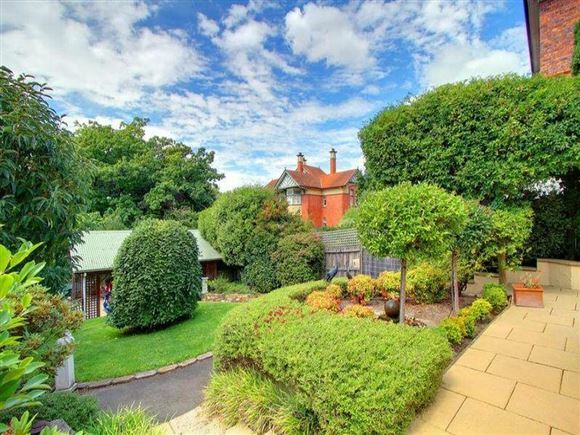 Launceston combines steep (originally heavily wooded) ridges and low-lying areas (originally wetlands. 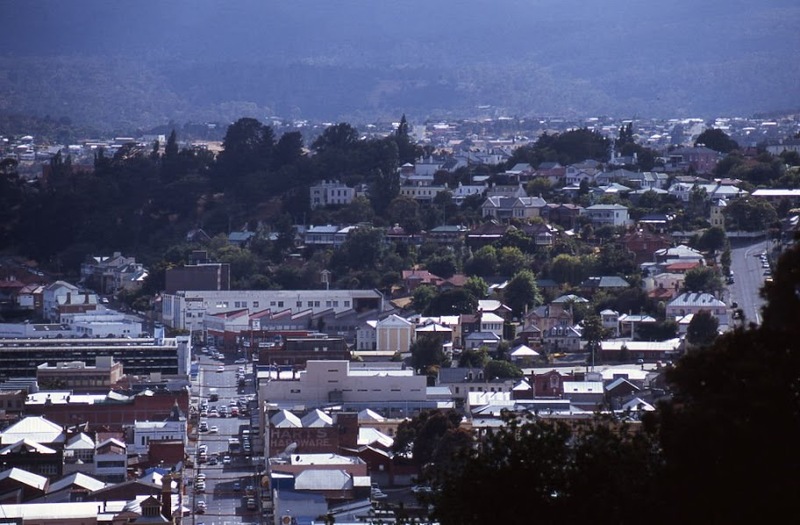 High Street Launceston runs along an Easterly high ridge due South from an intersection with Elphin Road near the city centre, and continues to Talbot Road and then Hobart Road forming a major thoroughfare running through the Eastern side of Launceston. The Tasmanian Heritage Register and Launceston City Heritage Register are ‘opaque’ and do not link to nomination data-sheets.This is apparently due to ‘lack of resources’. 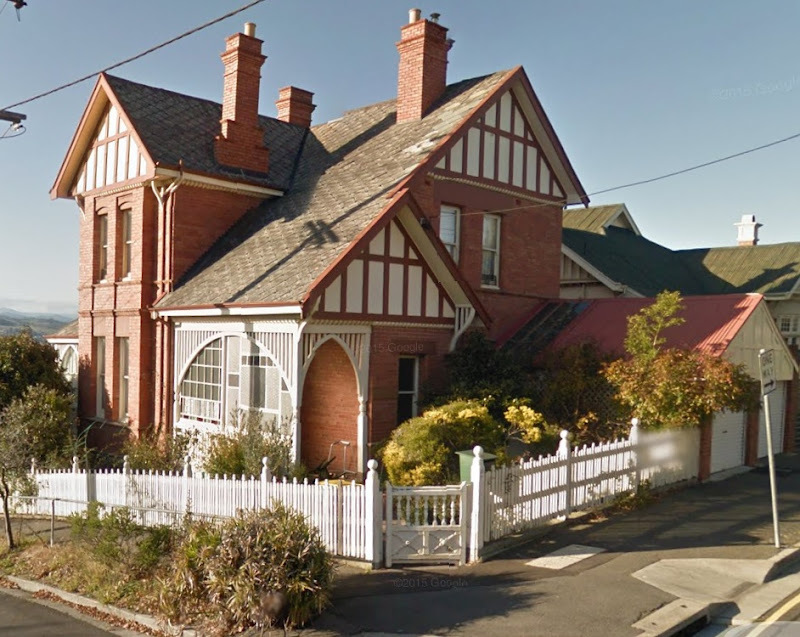 The Tasmanian Heritage Register is only available as a download, so web-crawlers cannot index its contents, meaning you can’t readily find out if a Tasmanian residence is Heritage Listed. 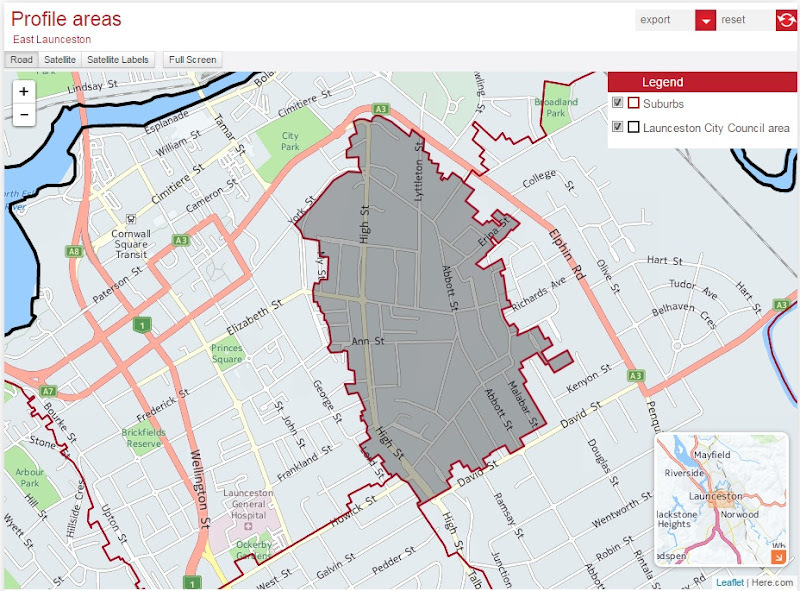 yourvoiceyourlaunceston.com.au/planningscheme/documents/…/downlo…Schedule 1 – Local heritagelist. Street. No. Street. Suburb .. 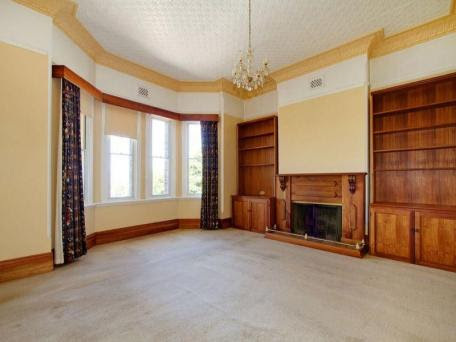 There is also a continuing process of ‘cleaning up’ the Tasmanian Heritage Register by removing items, apparently without the publishing of heritage nomination details either by the National Trust or the Local Council. 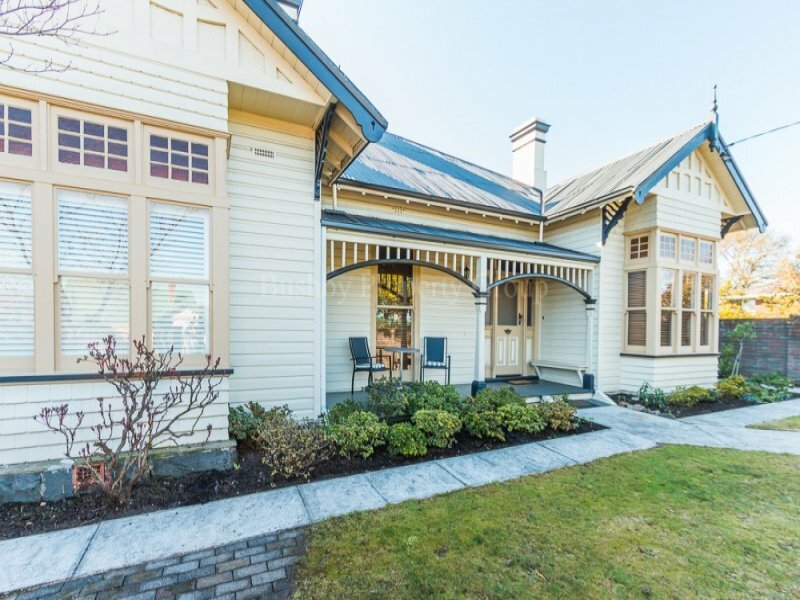 Of course there is a procedure, but are important heritage homes safe? 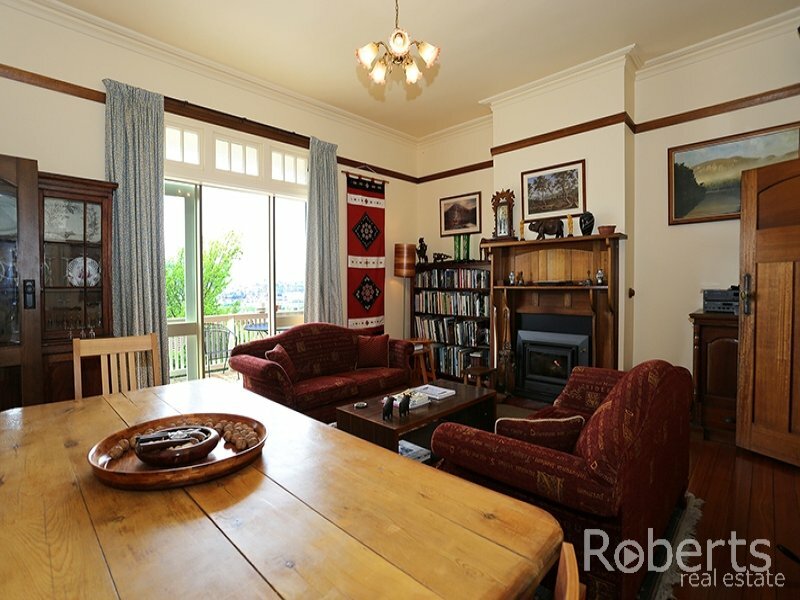 Oct 14, 2015 – “The Tasmanian Heritage Council is continuing its review of the integrity of the Tasmanian Heritage Register, which is the first comprehensive review conducted since the Heritage Register was created in 1997. Most such heritage data-sheets are not public, and must be individually requested. Not only that, most data sheets that I have requested, have minimal information on the heritage values of the property. If you search the internet for most of the listings below, you will only find heritage information that is either on this page, or on the National Heritage Register. A change of public heritage registration information in Tasmania is well overdue. 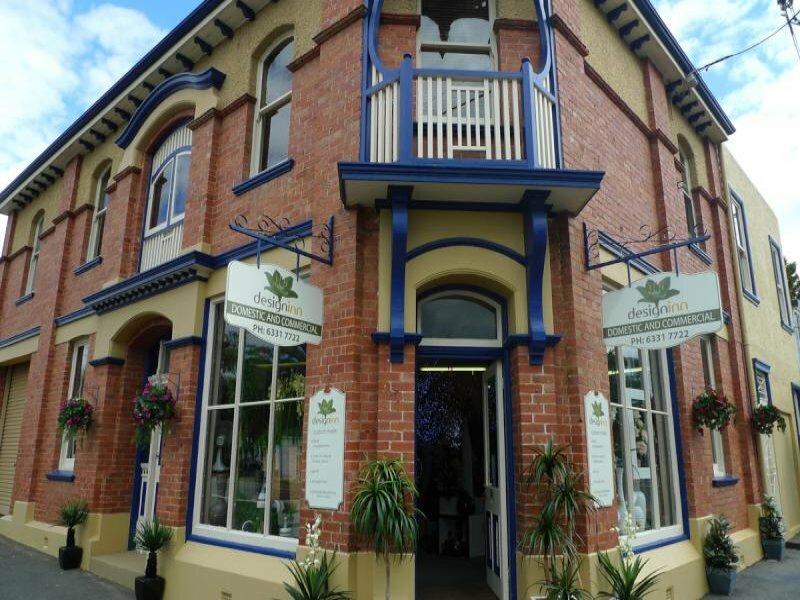 Contact Heritage Tasmania directly, for further information, or to discuss any(heritage) issues you are interested in. 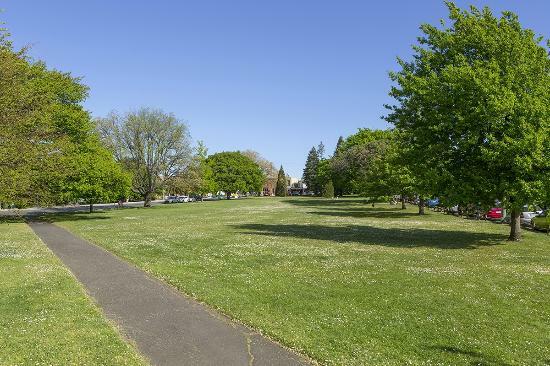 Launcestonians argue their architecture is more elegant, their parks more beautiful, their surrounding hills more verdant – and even their food scene just downright zestier. And on many of these points it’s hard to argue. It might have something to do with the recent rebuilding of the city’s museums, and with an influx of students and creative types to the University of Tasmania. Art and design are big here, and there’s a new respect for the city’s fabulous cache of heritage buildings. 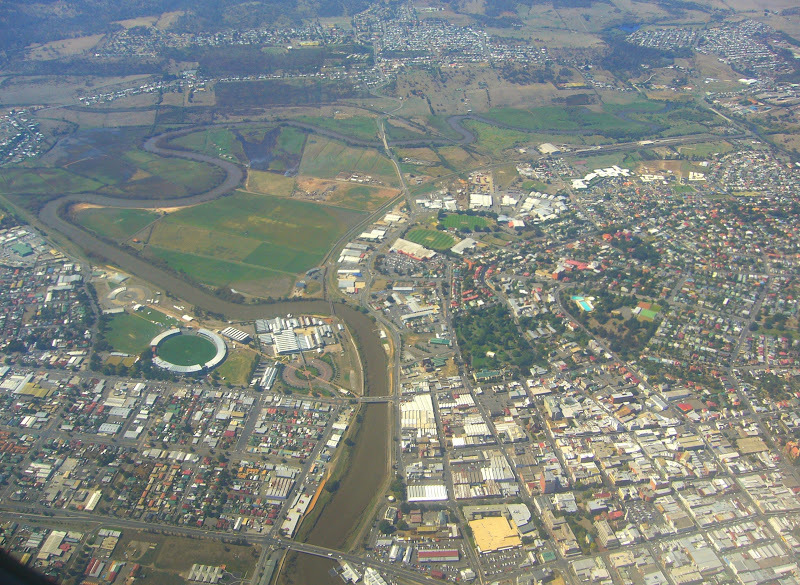 Aerial view of Launceston CBD, Windmill Park right of centre, Elphin Road clearly visible at right, High Street runs right from (blue pool) prior to the Aquatic Centre construction. Street No. Street Suburb THC – State; LCC – Local; Title Plan; Lot: PID No. 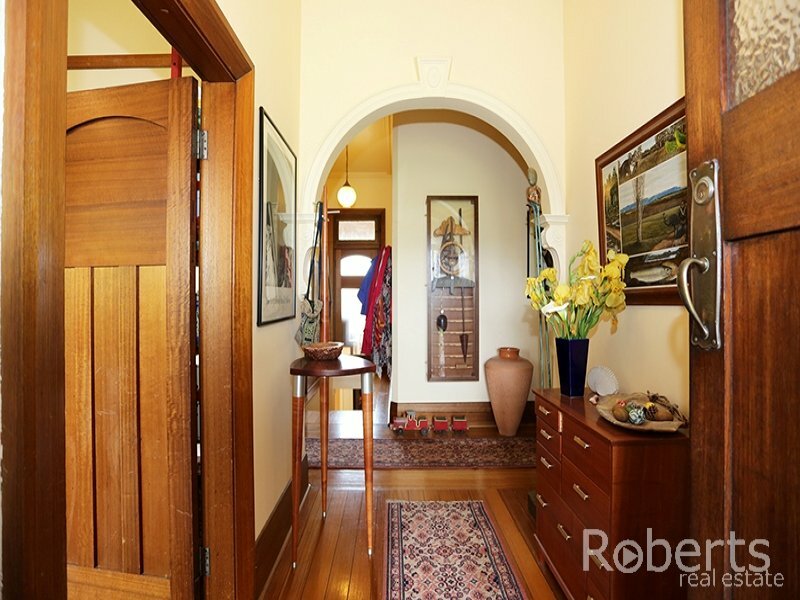 “At only 90 years young this outstanding Arts and Crafts style home is all about family, loads of room inside with bedrooms, bathrooms and living! 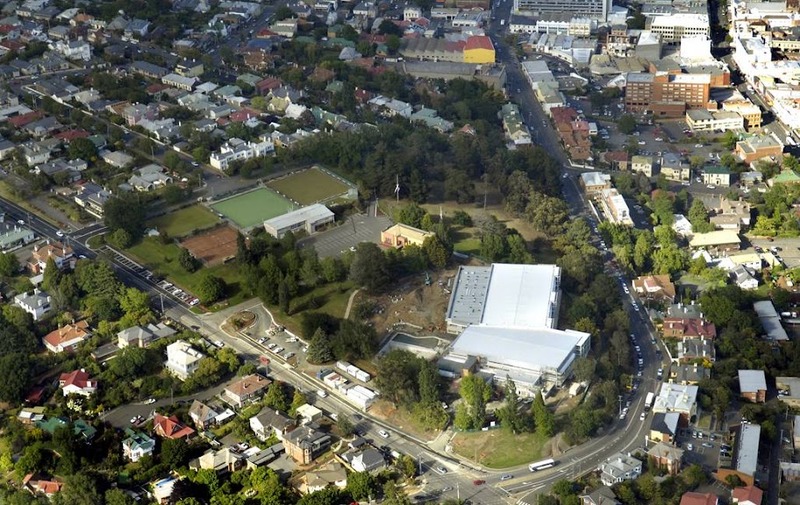 Launceston Leisure and Aquatic Centre is a double storey structure built at the old Windmill Hill Swimming Pool site in Launceston, Tasmania. The centre was opened on 25 May 2009, at a cost of A$26.3 million. The pool on the hill means a lot to the local swim squads who train daily. 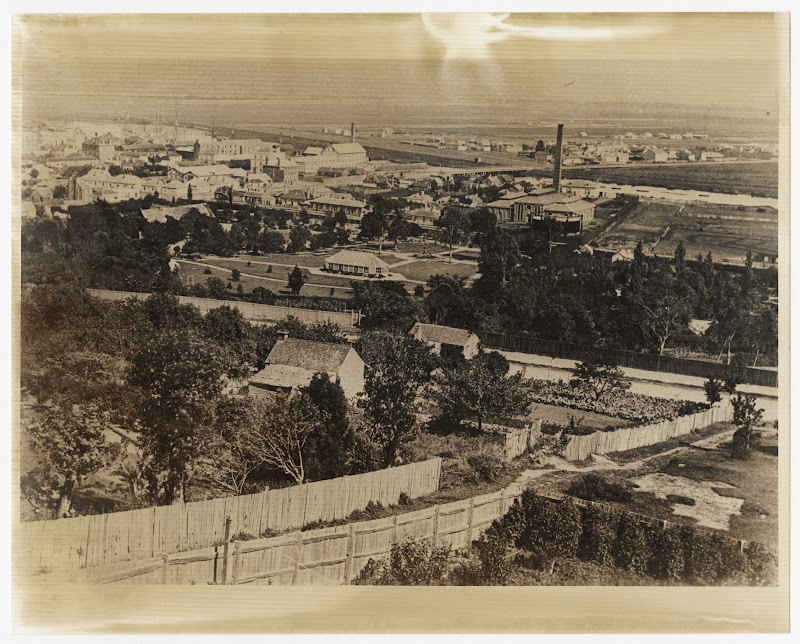 Very old view North from Windmill Hill over City Park to Gas Works and Inveresk. 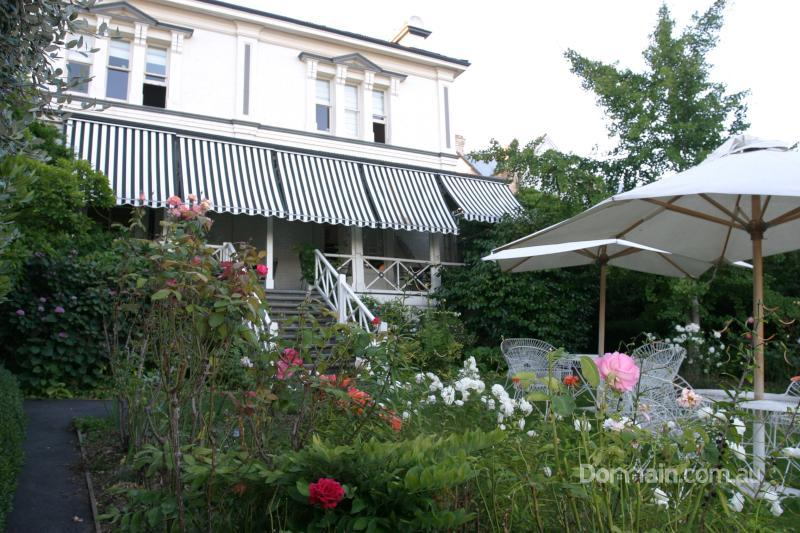 An unusual two storey Regency style house built in the 1840’s by James Aikenhead who was the founder and proprietor of the Launceston Examiner. 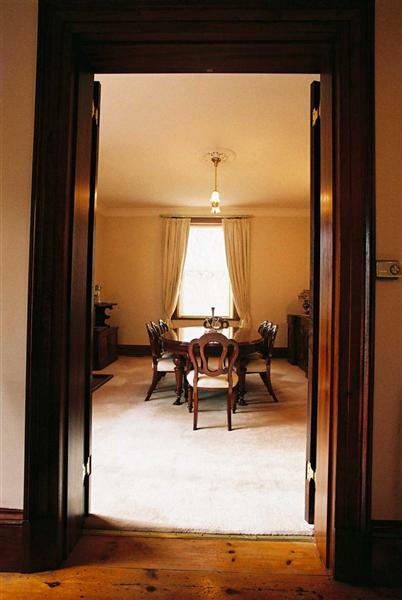 Noteworthy features include the unusual patterning to the long elongated central windows on the upper level, the front door, sidelights and fanlight and the large surrounding garden. The building is an important streetscape element. 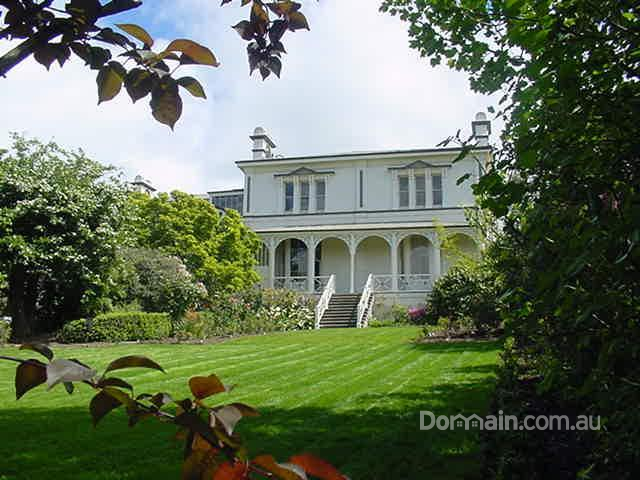 One of Launceston’s most dominant Grand Federation houses, it was the original home of Wright of Hinman, Wright & Manser, builders. The house’s compact two storey gable roofed form is extended by two upper storey balconies (the northern side being a particularly fine example of timber fretwork design) and also by a turret roofed bay window projecting from the drawing room. 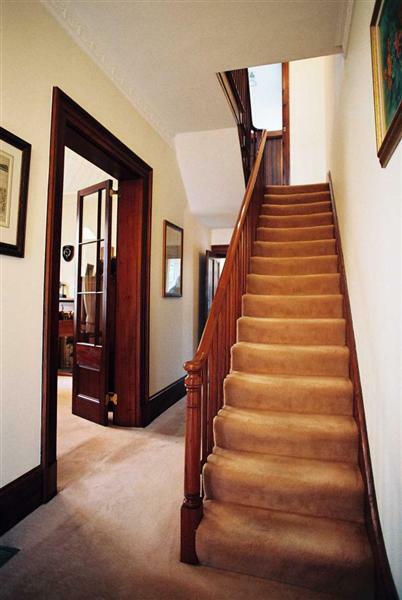 A high quality townhouse from the turn of the century exhibiting many of the features from the Federation style vocabulary including terracotta decoration, corbelled chimneys, half timbered gables, decorative timber balustrades, corner bay window with turret roof, leadlight windows, oriels and timber fence. The building is intact and is a powerful streetscape element. 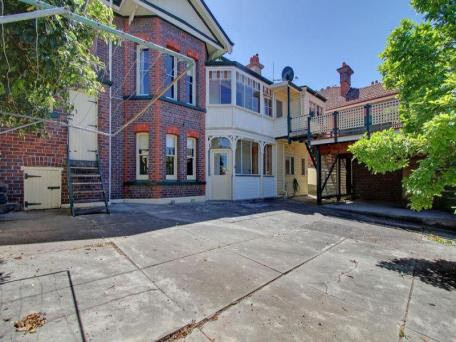 A large two storey brick and stucco Federation style house. It has the full range of features typical of this style: tiled roof with ridge decoration, elaborate corbelled chimneys, gable roofs with half timbered, bracketed ends, decorative timber balustrades, a corner bay window with a turret roof, leadlight windows and tiled entrance porch, it has a fine leadlight front door with keyhole shaped side windows and transom light. The front fence and gate are also intact. A two storey Federation style brick corner shop built by J. &T. Gunns. 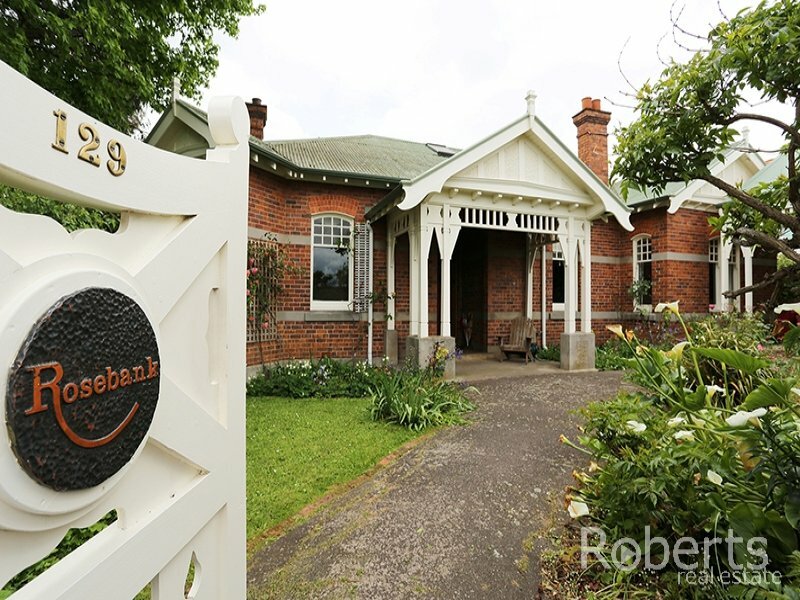 It is an exceptionally fine and rare example of Federation details applied to a traditional 19th Century building type. 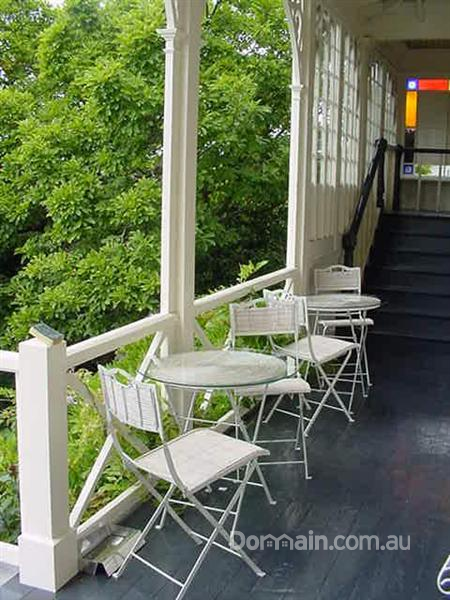 Of particular interest is the first floor corner balcony. 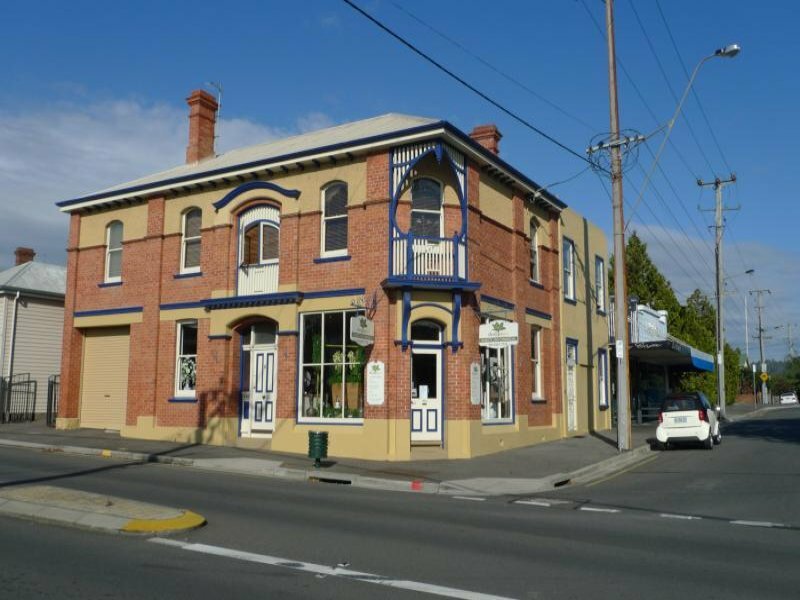 35-51 High Street, East Launceston. East side of High Street between Adelaide and Arthur Streets. A unified yet diverse group of late Georgian and early Victorian houses. The group, located on the east side of High Street, is quite unified in character but contains a range of styles including Queen Anne and Victorian Italianate. 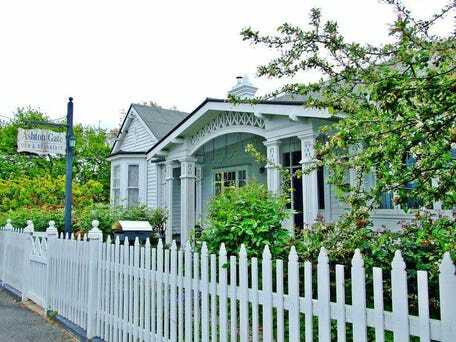 Most are larger houses with front gardens and as a group produce a memorable streetscape. 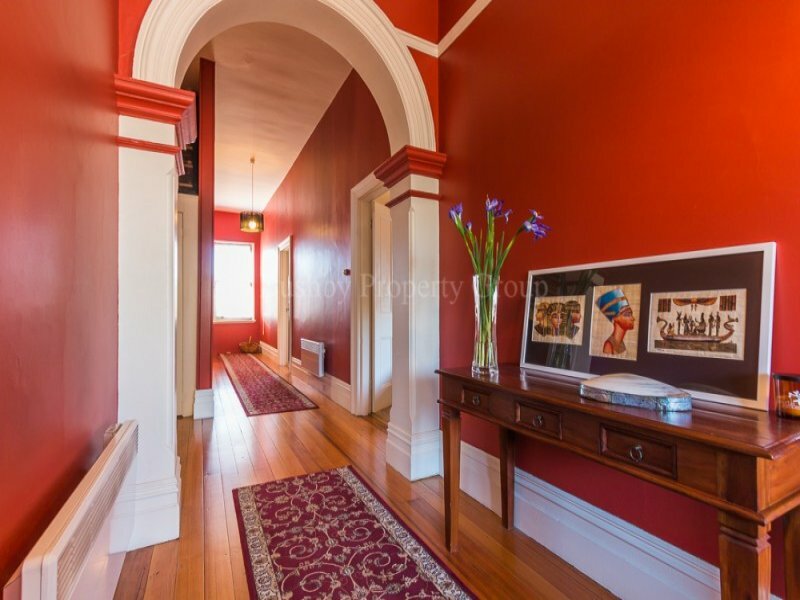 “Unusual large townhouse from the transitional Georgian-Victorian period, the building was constructed in the period 1870-1880. “One could, in all fairness, be forgiven for assuming Hatherley House to be a bit musty. “There has been a bit of local buzz surrounding Hatherley House, he tells me, thanks to the extensive renovations undertaken by local architects Jack and Rebecca Birrell. 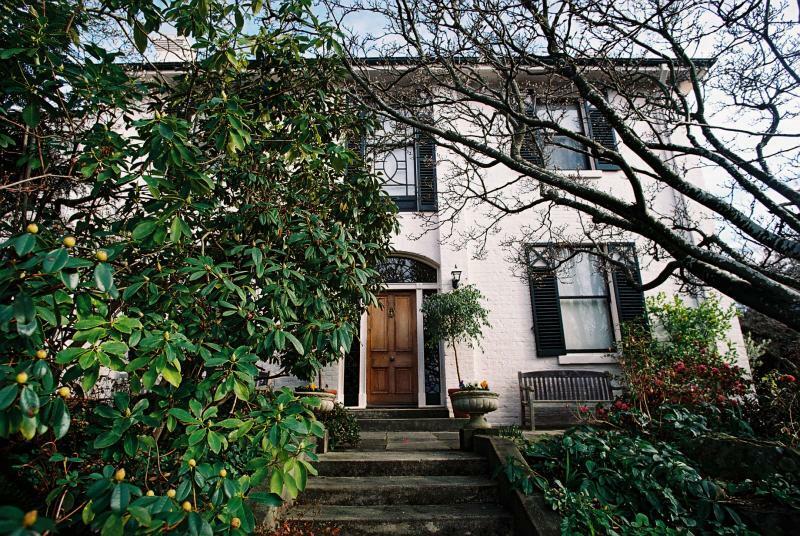 The husband-and-wife team reopened the mansion just last year, after a 12-month restoration period which saw the house go from nine rooms to just two, and business has been good ever since. 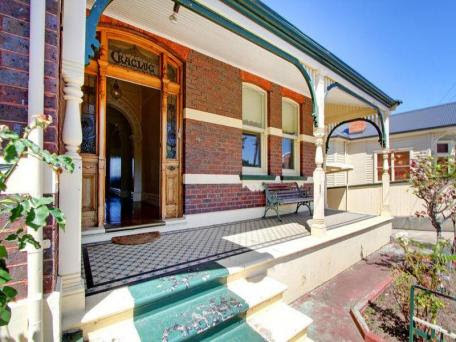 A good example of a late Victorian Gothic Revival house built in the 1880’s. 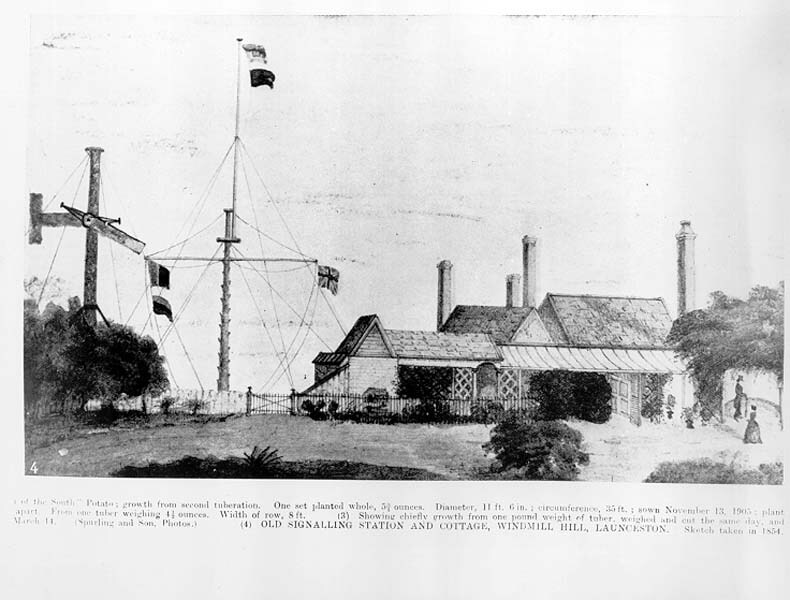 Features of the house include decorative barges to many gables with finials, slate roofs, Oriel window and verandah complemented by small timber and brick outbuildings. 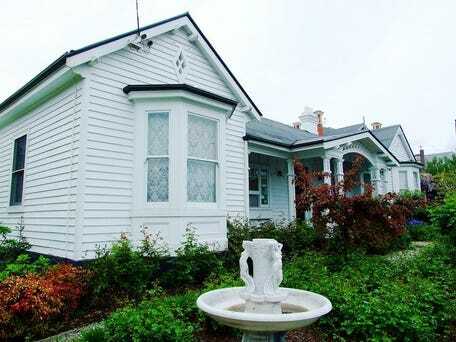 A large two storey late Victorian Gothic house in stuccoed brick, it has steep pitched gable roofs with finials and elaborate barge boards. It has secondary cross gables in the main facade over casement windows and oriel window at southern end. 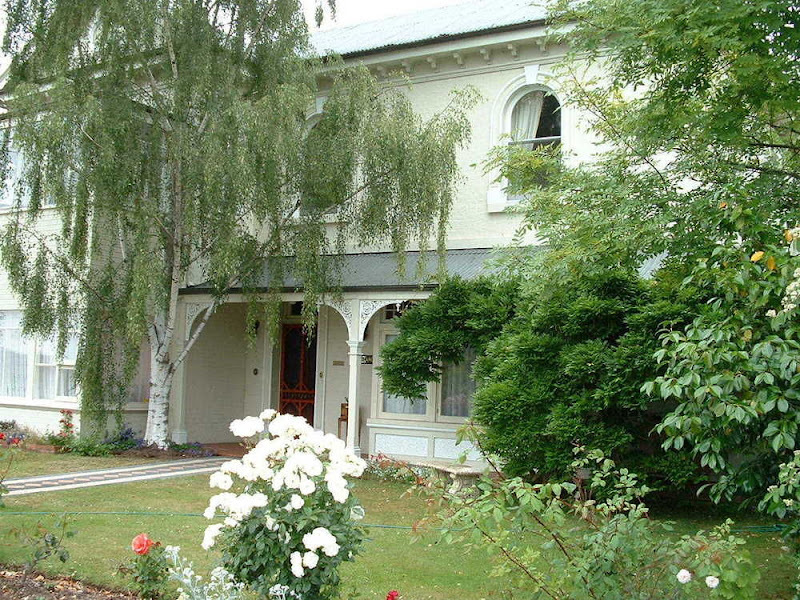 There is a ground floor verandah with slate roof and gable over main entrance. All windows have label moulds over, and there is a ground floor bay window in the southern end. There are two large outbuildings in keeping with the house, with Gothic features and decorated barge boards. Description: An excellent example of a smaller scale Federation style house. 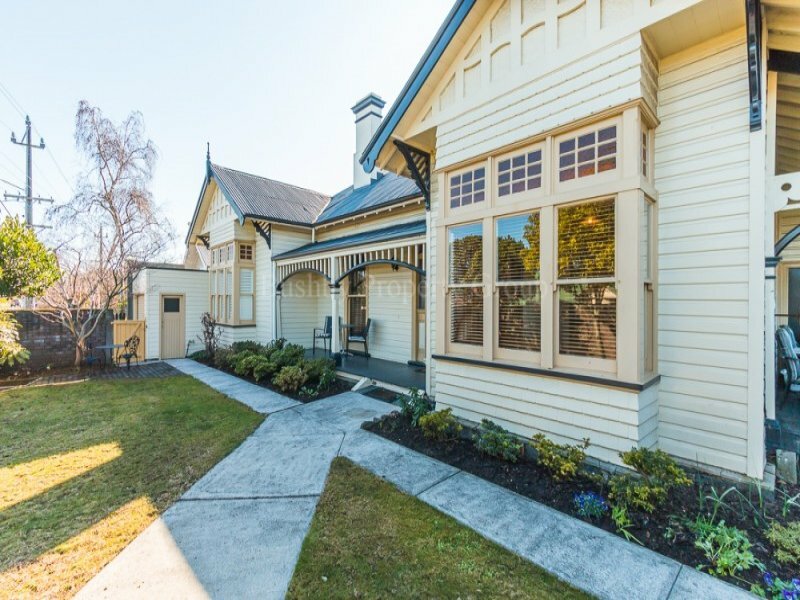 The traditional plan has been embellished by sensitive individually detailed elements in the verandah, roof and projecting gable. Architect: Frank Heyward; Date: 1932; Builder: J. &T. Gunn. A two storey rendered gabled roofed residence with corners elaborated with brick quoins, and gutters returned to form quasi capitals. The main gabled facade is symmetrical with repeating semi-circular arched motif. No. Street Suburb THC – State; LCC – Local; Title Plan; Lot: PID No. 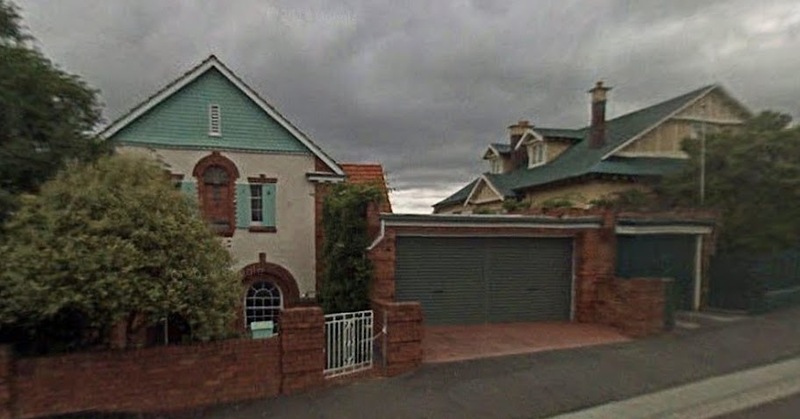 Single storey brick and tile roofed Federation style house with unusual continuous open porch supported by tapered piers, surmounted by decorative gables. 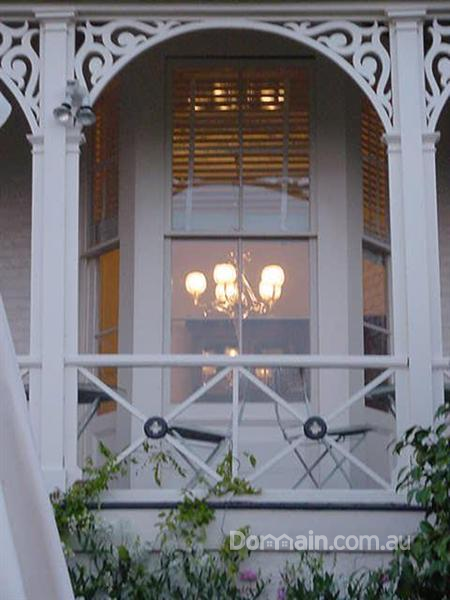 Timber balustrade on porch and original timber fence are both finely detailed.